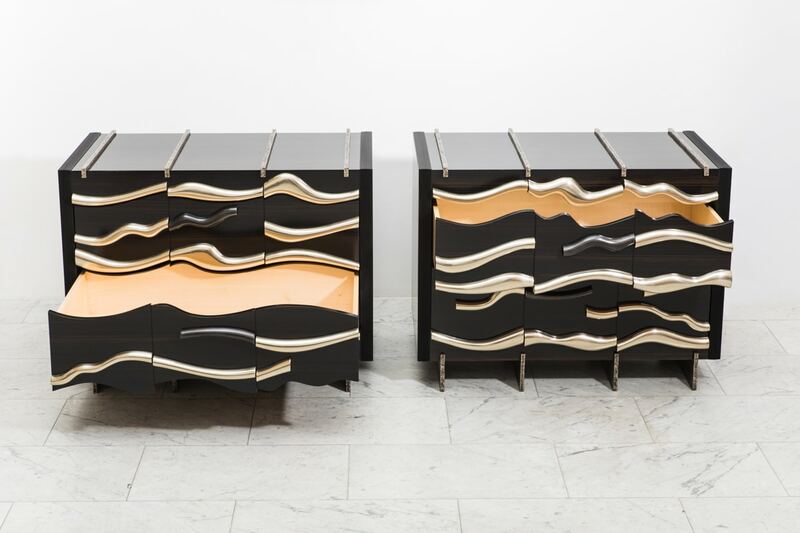 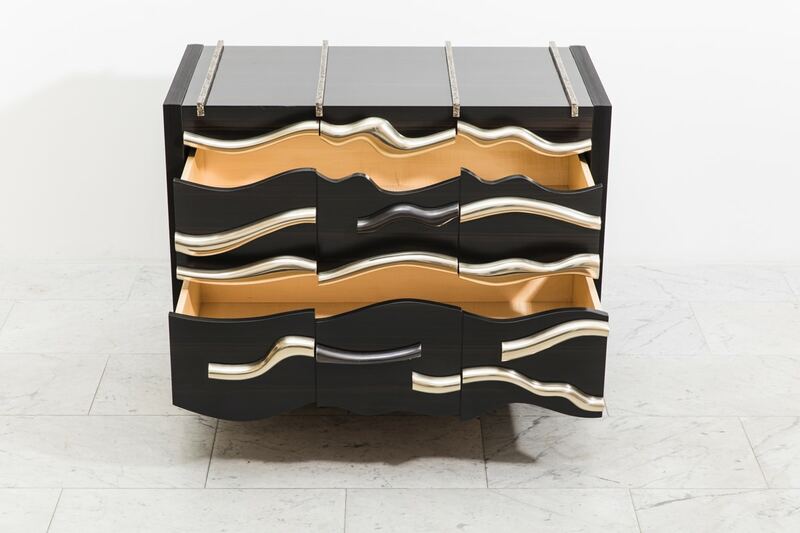 Jean-Luc Le Mounier’s chests of drawers, titled Nice Day, originated from an architectural influence seen on a recent trip to New York City. Le Mounier noticed two glass and steel buildings, reflecting off each other, creating a distorted wave effect. 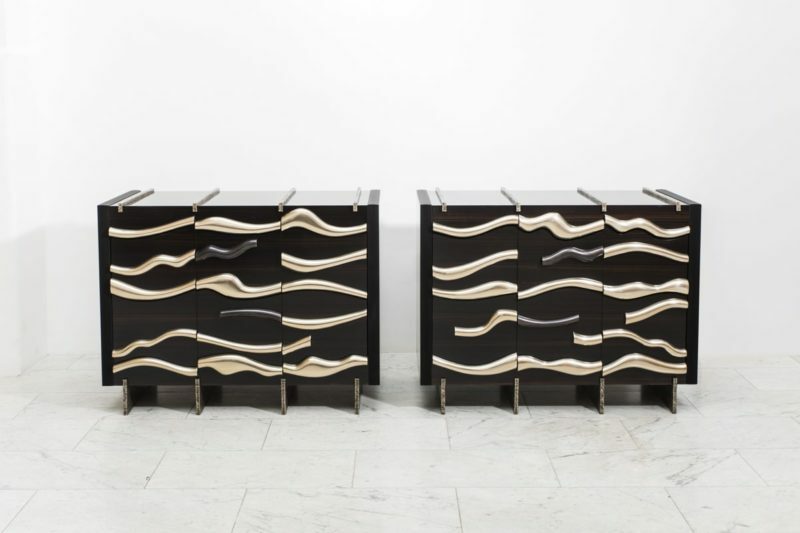 The chests are visually broken into three columns mimicking the framing of the buildings’ windows. 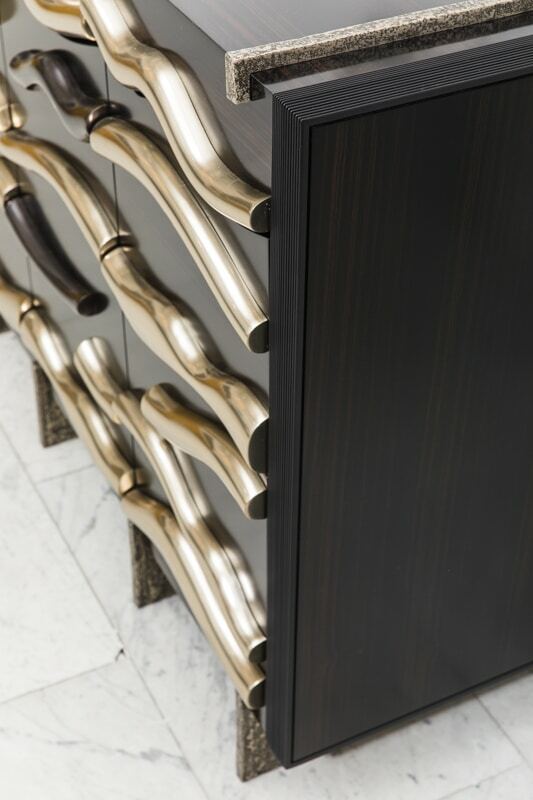 Each column is defined by the rough textured bronze base and top detail. 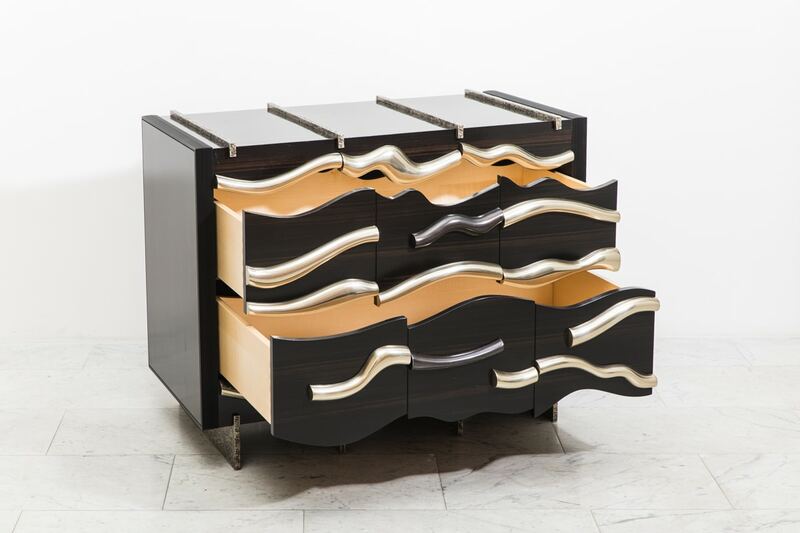 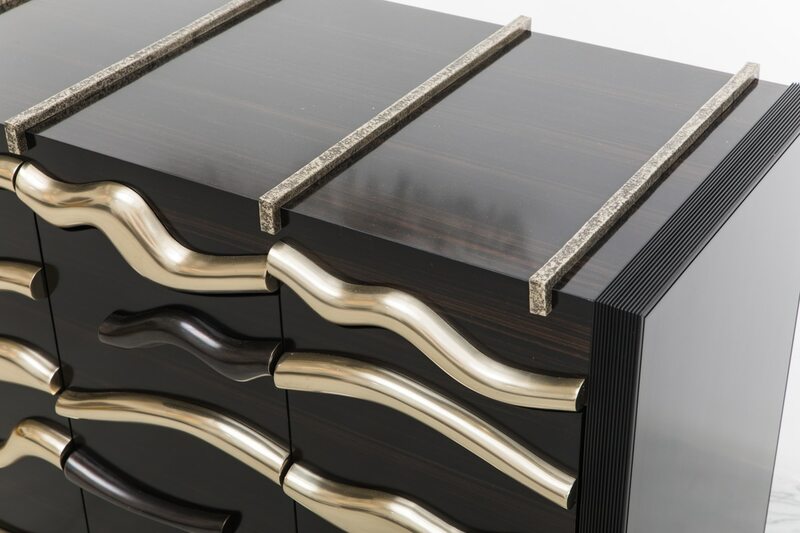 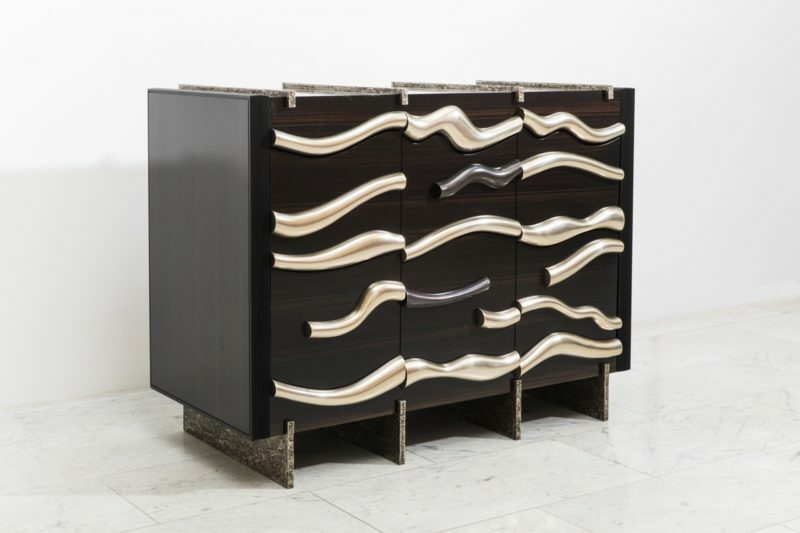 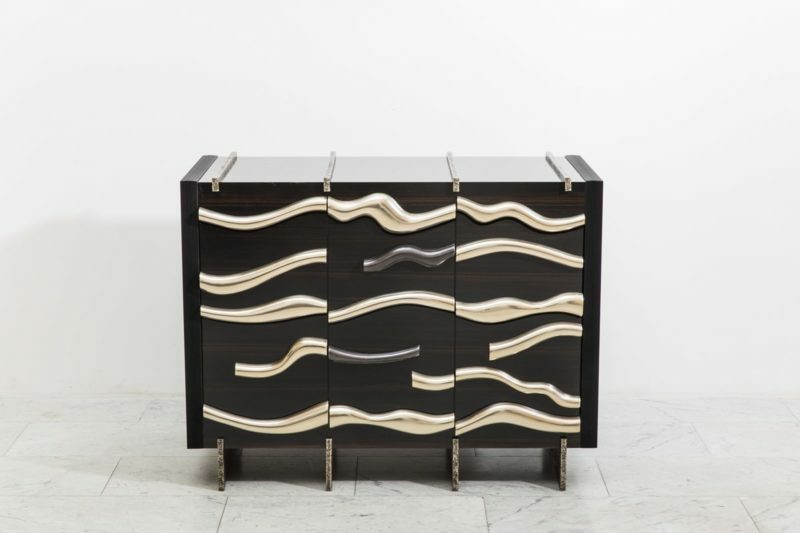 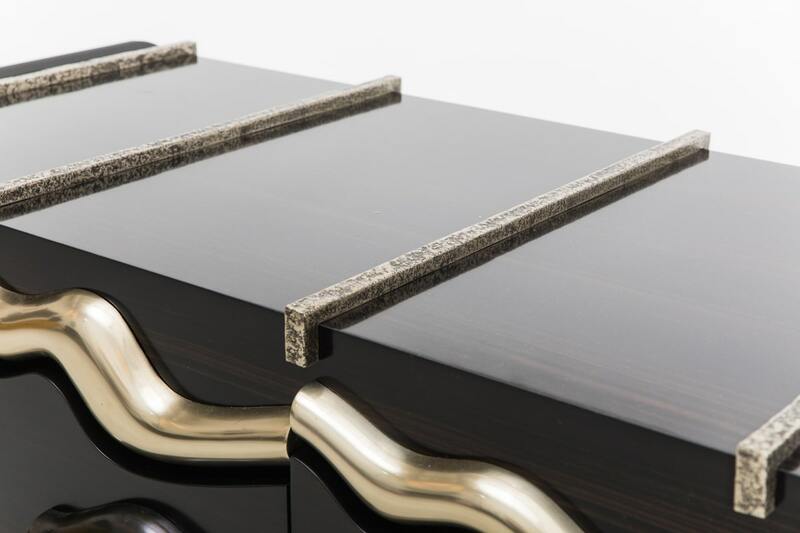 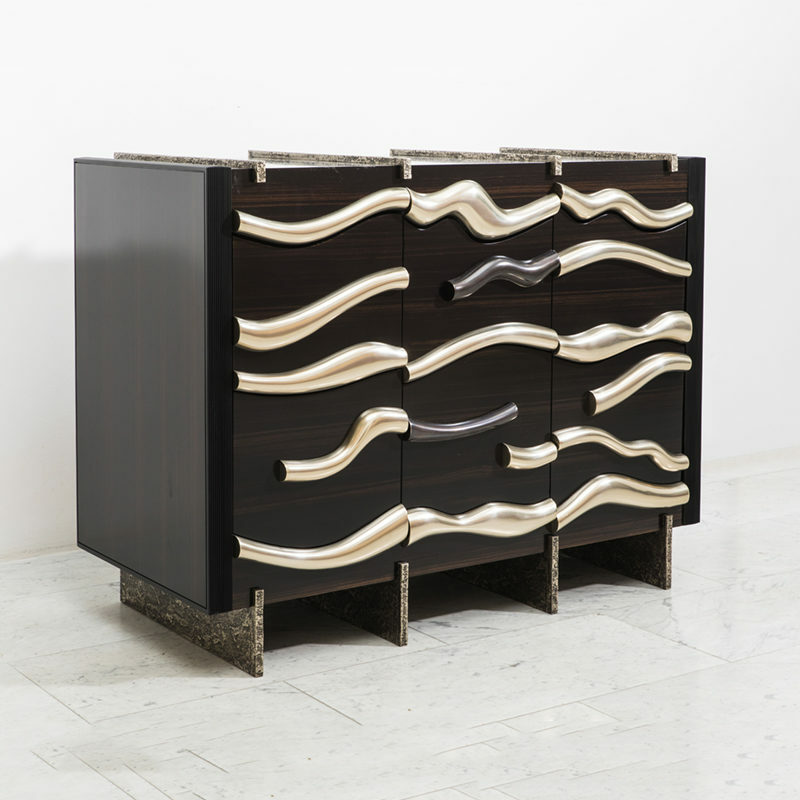 The undulating pattern is interpreted with polished white bronze detailing against the rich ebony of the chest’s cases. 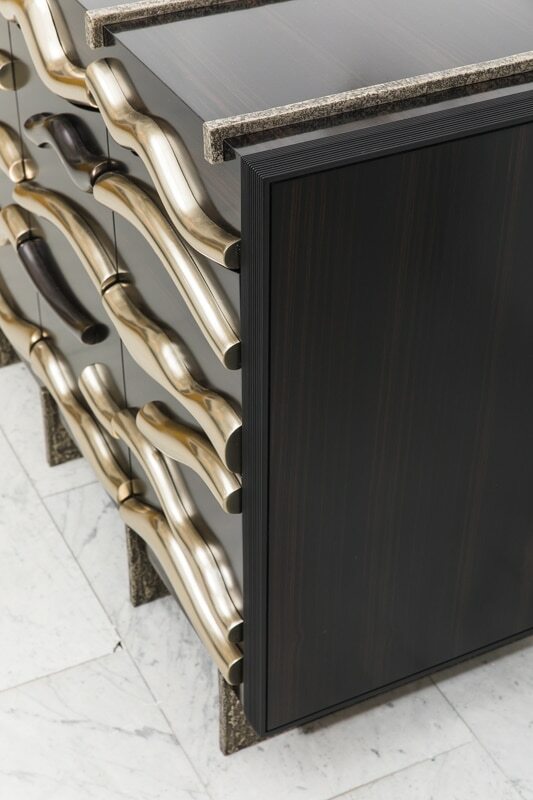 Likewise, each drawer’s shape is carved to mimic the forms of the bronze details and blackened bronze drawer pulls.